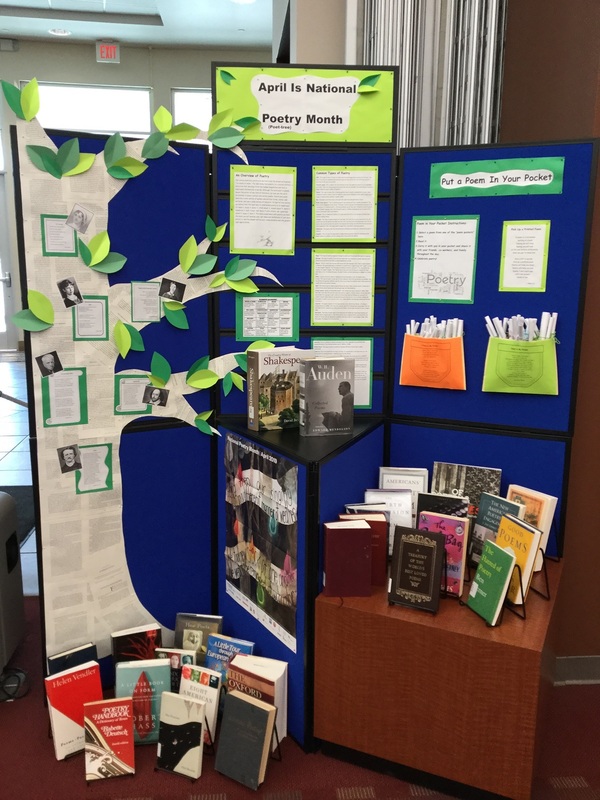 Monthly displays in the library. 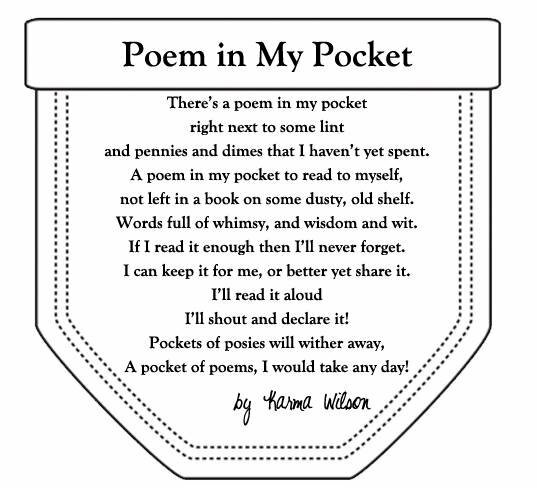 The library is celebrating National Poetry Month with a display featuring a Poem in My Pocket. 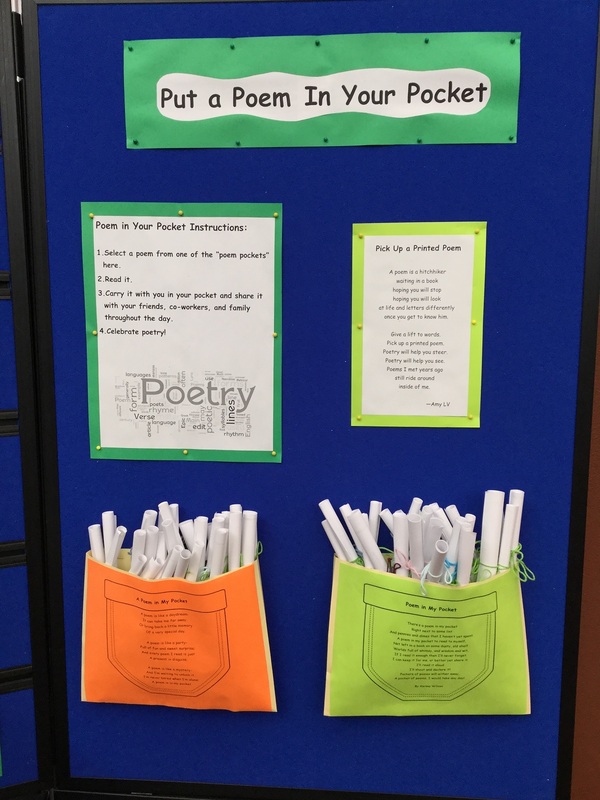 Stop by the library display, choose a poem from one of the pockets, read it throughout the day, and memorize some really great poems to share with your friends or recite to a loved one. 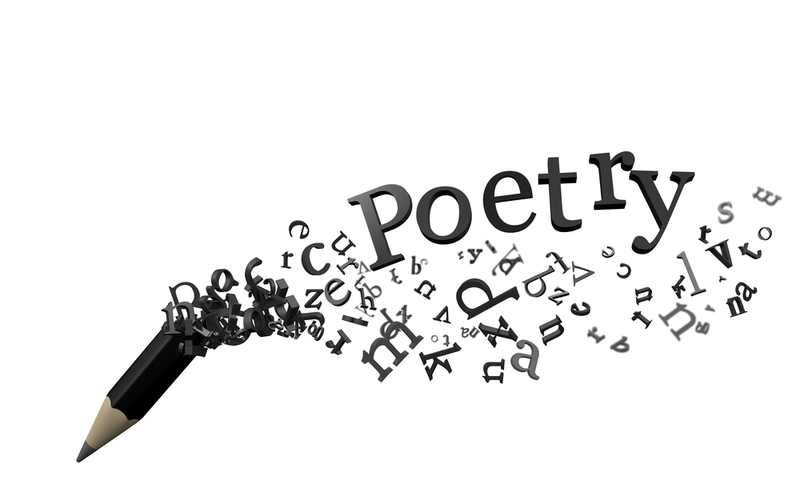 Our words poem and poetry are derived from the Greek word poiein, “to create or make,” the idea being that poetry is a created artifact, a structure that develops from the human imagination and that is expressed rhythmically in words. 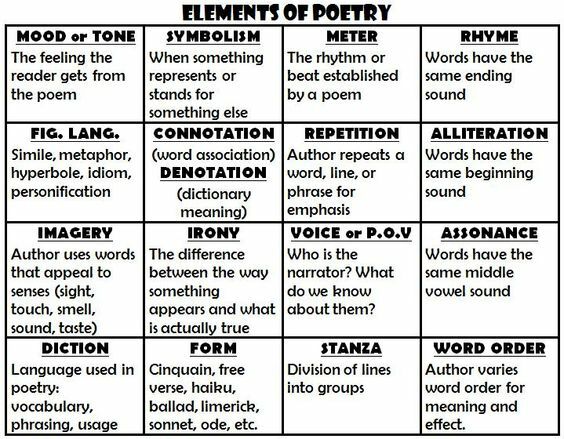 Although the word poet originally meant the writer of any kind of literature, we now use the word exclusively to mean a person who writes poems. 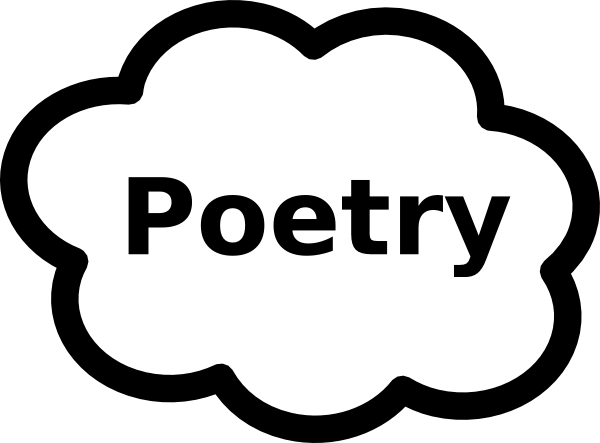 Poetry and poem describe a wide variety of spoken and written forms, styles, and patterns, and also a wide variety of subjects. 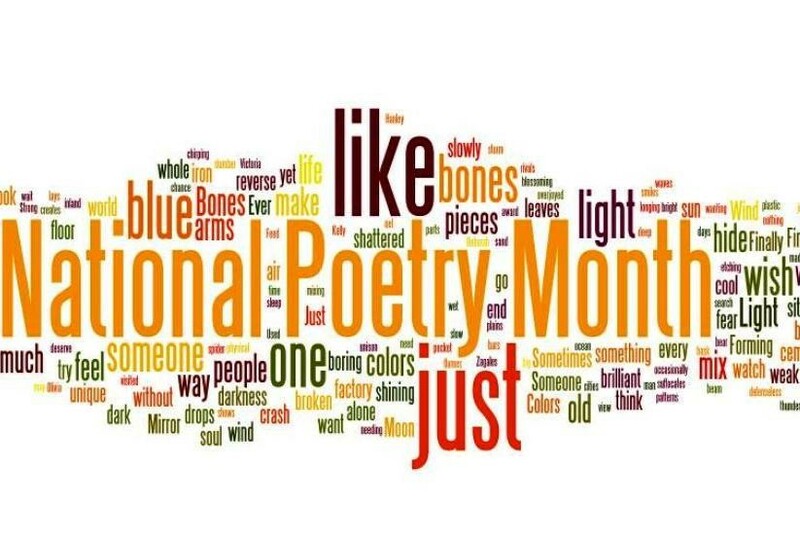 In light of this variety, we believe that the best way to understand poetry is to experience it—read it, study it, savor it, think about it, dream about it, learn it, memorize it, mull it over, talk about it with others, ask questions about it, enjoy it, love it. 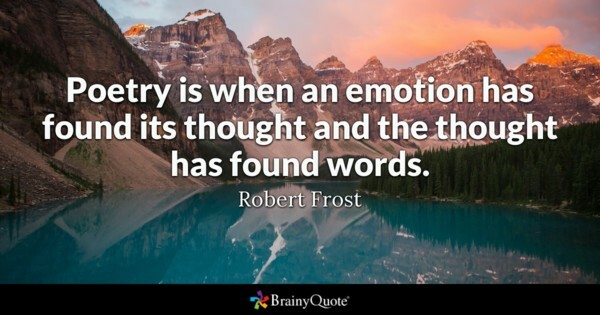 The more experience with poetry you have, the more you will develop your own ideas and definitions of just what poetry is, and the deeper will be your comprehension and the greater your appreciation. ABC: This type of poem strives to create emotion and images and consists of five lines. The first four lines are alphabetized and can begin with any letter but the fifth line is not restricted to the use of any letter. Ballad: This type of poem has a rhyming pattern and is usually accompanied by music. Many ballads are used in country music or western-type movies. Ballads are also used in many Latin songs. A ballad rhyme scheme is usually ABCB. Bio: This poem is written about one’s self life, ambitions and personality traits. Blank verse poetry: This is unrhymed poetry and usually written in iambic pentameter. The lines can be composed of any meter. This was a favorite during the Renaissance because of its resemblance to classical poetry. This was probably one of the most influential forms of poetry in the English language since the sixteenth century. William Shakespeare wrote much of his plays in unrhymed iambic pentameter. Canzone: This is a Medieval Italian lyric style poem with five or six stanzas but which has a shorter ending stanza. Cinquain: This type of poem consists of five lines. The first line is just a one-word title, the second line has two words that describe the title, the third line has three words that tell the action, the fourth line has four words that express the feeling and the fifth line has one word that recalls the title. This takes some thought but can present some good poetry. Classicism: This poetry has the characteristics of Greek and Roman art, architecture and literature. Couplets: This is a two-line poem with a simple rhyming pattern. Each line should have the same number of syllables and the endings must rhyme with one another. Elegy: This type of poem is a sad and thoughtful and is written around the death of a person. 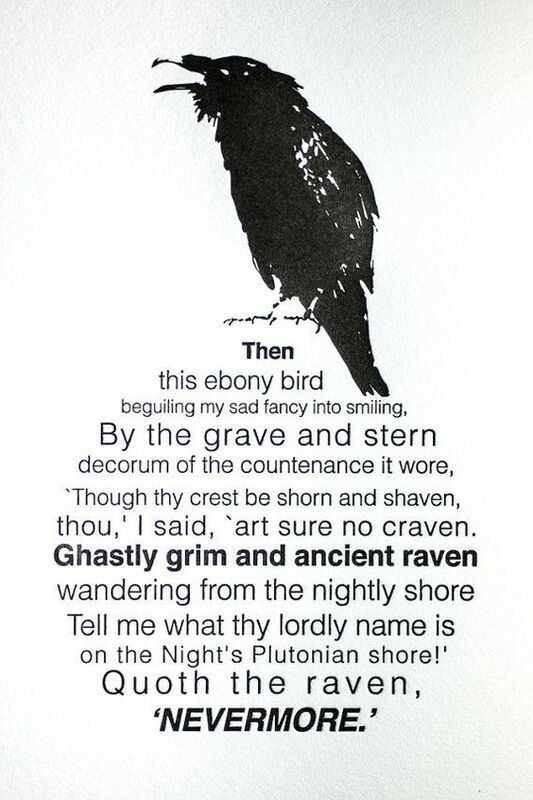 Epitaph: This type of poetry is written for those that have died and is usually used as a commemorative inscription for some person’s headstone or tomb. Ghazal: This is a short lyrical poem that arose with the language Urdu. Urdu is mostly spoken in Pakistan. This particular poem is between five and fifteen couplets long. Each couplet carries its own thought; however, the full poem is linked by rhythmic structure. The lines within the couplets are equal in length. The themes tend to be centered on love and romance but they don’t have to be. In closing the poem, the poet’s name is either mentioned or alluded to in some way. Haiku: A poem structure used by Japanese but has now made it into the English mainstream. This type of poem is made up of three lines with the first line having five syllables, the second line having seven syllables and the third line having five syllables. Most Haiku poems are usually centered on nature themes. Idyll: This type of poetry depicts peacefulness and many times contains country scenes and includes stories about heroes and the bye-gone age that has eluded us. Limerick: This poem consists of five lines and has a very distinctive rhythm. It follows a rhyme scheme of AABBA, with the first, second, and fifth rhyming lines being longer than the third and fourth. Limericks are often done with humor, can be mean spirited or have a naughty edge. Narrative: This type of poem tells a story and does not follow the traditional rhythms and rhymes used in regular poetry. This story can be true or imagined and it can have all the elements of fiction such as characters, possibly a narrator, a plot or even dialog. Edgar Allen Poe’s poem, The Raven fits this structure. Quatrain: This is a stanza or verse consisting of four lines, especially one with lines that rhyme alternately. The rhyming scheme can be ABAB or AABB. Rhyme Royal: This type of poetry consists of stanzas that have seven lines in iambic pentameter. Ronde au: This lyrical poem has its origin in France. It contains ten to thirteen lines, has two rhymes and the opening phrase is repeated twice as the refrain. Sestina: line stanzas plus three lines at the end of the poem. line stanza pattern is ABCDEF FAEBDC CFDABE ECBFAD DEACFB BDFECA. In the last three line section the pattern has two of the words, one in the middle of the line and then one at the end. This is also a very difficult and complex poem to write. Sonnets: A poem in iambic pentameter and is made up of fourteen lines. English sonnets use quatrains and couplets with this pattern. Rhyming pattern is ABAB CDCD EFEF GG. Many of Shakespeare’s poems were written in this pattern. Villanelle: This type of poem is less common and much more difficult to form but it does produce thought-provoking effects. The rhyming scheme is sophisticated and can be tricky. The scheme is ABAABAABAABAABAABAA. Note that there is no space between the last two lines. Notice that the first line is repeated as the third line of the second, fourth, and sixth stanzas. See that the third line is repeated at the end of the third, fifth, and sixth stanzas.